CNN meteorologists are keeping an eye on Tropical Storm Arthur and its impacts along the East Coast. The cyclone is to the east of Florida now but it's slowly moving up the coast, bringing wind, rain, and dangerous surf. Arthur is forecast to become hurricane strength on Thursday and up to 85 mph by Friday. The track of the storm brings it very close to the Outer Banks of North Carolina early Friday morning. While the cyclone won't make landfall in the Northeast, tropical moisture will combine with a front moving through the region creating heavy rain. Fourth of July celebrations could be impacted by heavy rain and beach goers will have to be aware of rip current threats. Arthur weakens over the weekend and the impacts will diminish. 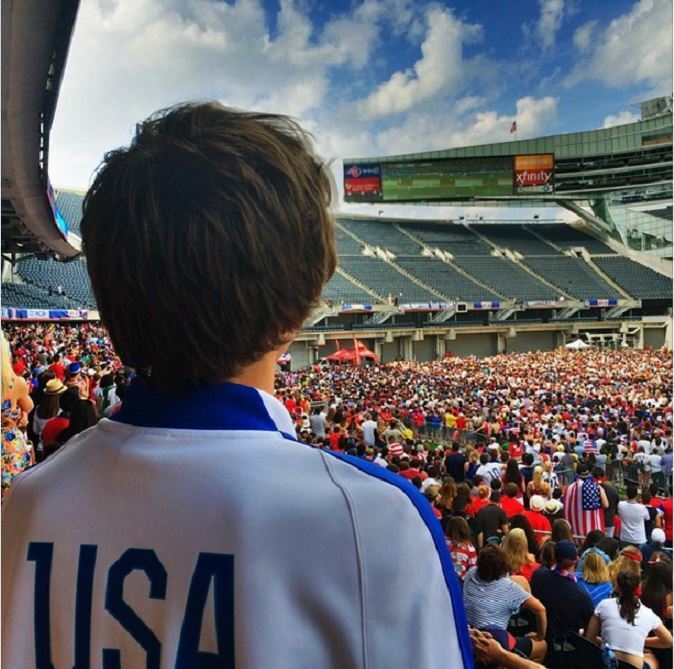 In today's photo of the day, we see the crowd watching Tuesday's Team USA game at Chicago's Soldier Field. "Photo taken ... moments before Belgium ended the United States' World Cup dream with a 2-1 victory."